Martha's ENG 5020: Weekly Response: Sommers's "Revision Strategies of Student Writers and Experienced Adult Writers"
Weekly Response: Sommers's "Revision Strategies of Student Writers and Experienced Adult Writers"
Nancy Sommers, in her essay "Revision Strategies of Student Writers and Experienced Adult Writers" distinguishes between the linear nature of speech and the recursive nature of writing. 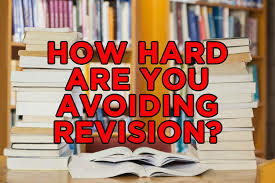 She is uncomfortable with writing and revision strategies that are linear and stage-based, putting revision somewhere at the end of the process. Revision must permeate the entire process. She explains that speech cannot be revised, only added to as an afterthought. Sommers conducted a case study to find out exactly what the students do to revise papers. It seems they focus on revision as wordsmithing at the end of a writing process, once they feel their writing is "finished." Concerns were finding the "right" word, avoiding repetition, and checking for mechanical errors. There was no reworking of theme, concepts, voice, or order. The students don't know how to revise; therefore, they try to follow the "rules" they've been taught. The experienced adult writers, on the other hand, re-envisioned their argument and their form or framework, and considering their readers. Through this process they create meaning. Revision occurs throughout their writing and is not done only at the end. Their process is not linear but a series of different cycles, and they are not primarily wordsmithing. They are adding, deleting, and reordering sentences. Sommers hopes that students will learn to revise by understanding the opportunities and possibilities that writing offers as opposed to speech: the advantage of revision.